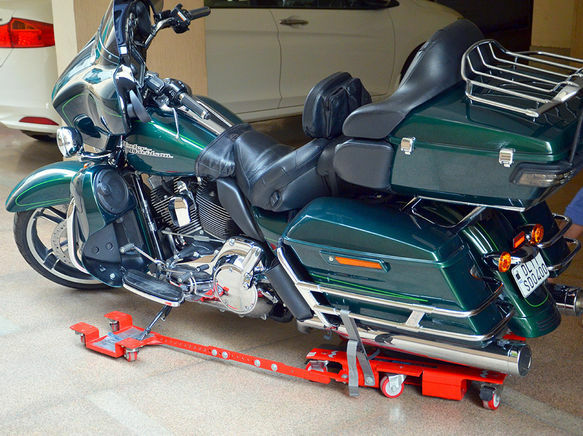 GrandPitstop’s Bike Glide is a motorcycle stand to easily move and park your bike. Maneuver “400 Kg+” Bike like its 4 kg within seconds and with minimal effort in any confined space. Put hard work where it’s needed, not in parking!!! 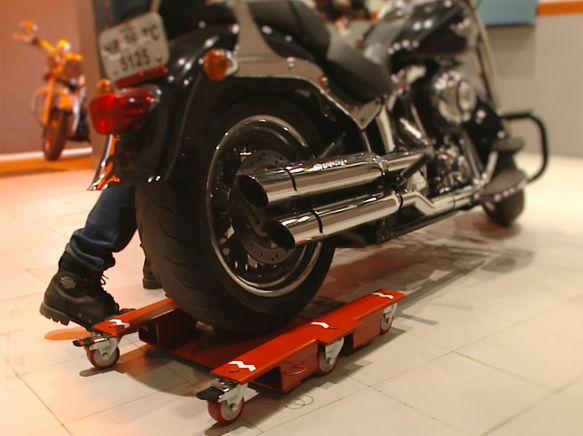 Manoeuvre Motorcycles effortlessly into tight parking spots. 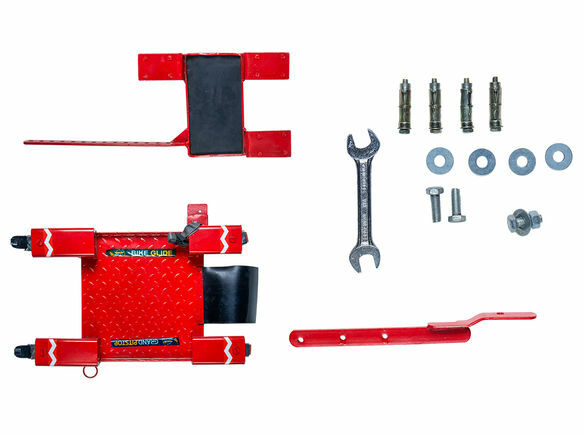 Bike Glide comes with three variants to suit all type of bikes. 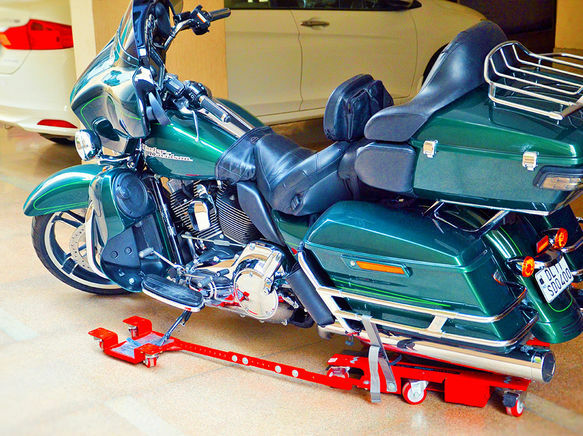 Parallel park your motorcycle with your car in small garage or tight parking spots ! 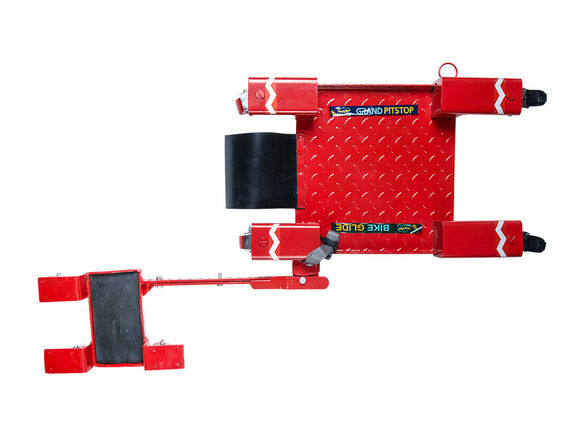 We are better and cheaper than conventional dollies – Innovation at its best! Suits low ground clearance Motorcycles - really down to earth! 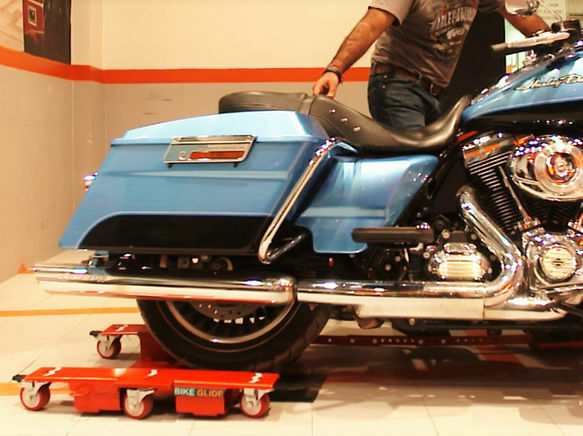 Can be locked to the wall using simple attachment, we keep your motorcycle fully safe and secure!